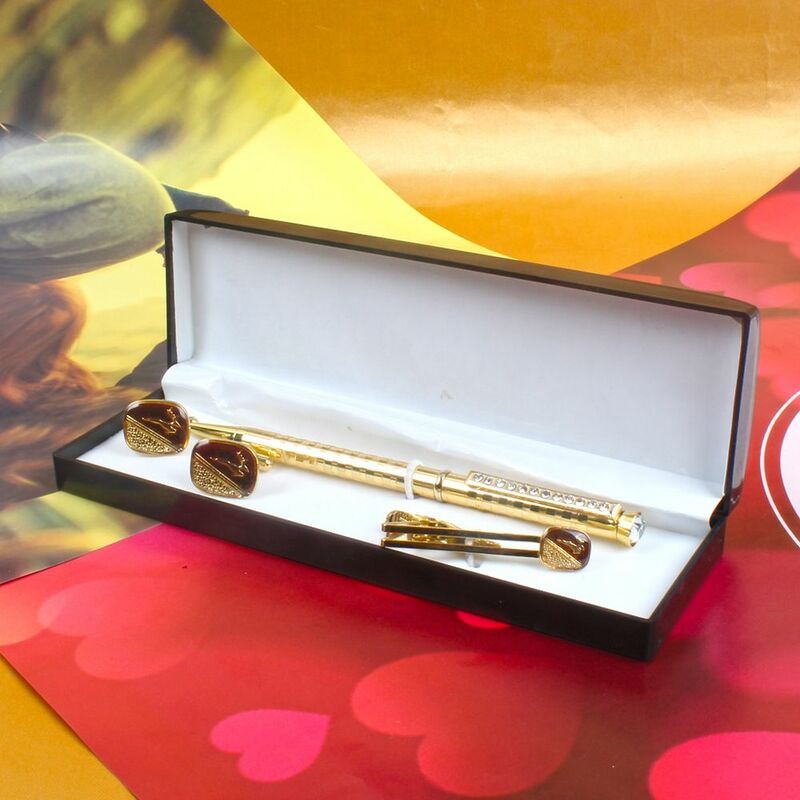 Product Consists : Golden Pen and Elegant design Golden and Brown Cufflink and Tie Pin in a Gift Box. Giftacrossindia.com presents this men hamper set, which is a perfect gift for your husband, father,brother and many more on his birthday, anniversary or to make his day more memorable. This gift combo is all set to make him feel elated in any special occasion. It contains mind blowing gifts for men gifting. 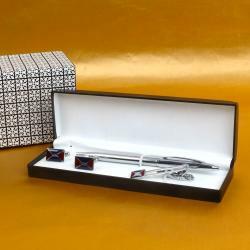 The gift box is filled with pen, tie pin and a set of cufflinks. 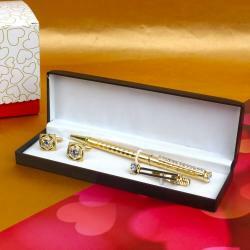 The diamond studded pen is available on this gift combo is very beautifully crafted. 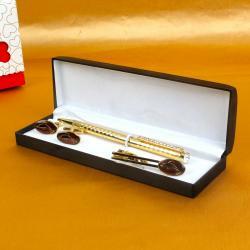 Tie pin and cufflinks of this gift combo are adorned with golden brown elegant design. Designs inscribed on the oval shape makes both tie pin and cufflinks looks more attractive. So go ahead, place your order now. 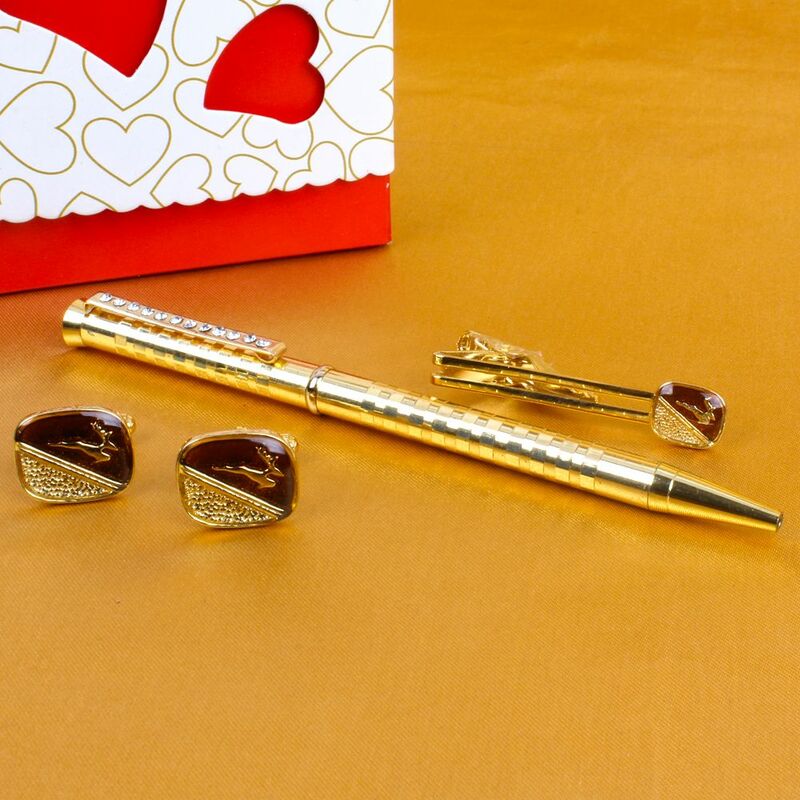 Product Consists : Golden Pen and Elegant design Golden and Brown Cufflink and Tie Pin in a Gift Box.